View your digital sheet music on a computer, tablet, phone, or TV – all you need is a web browser and an internet connection. There are no annoying plug-ins or software installs needed. 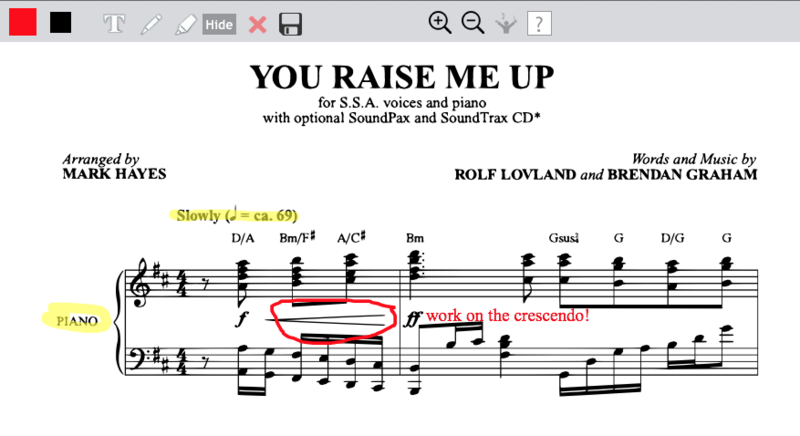 The sheet music automatically scales to fit the screen of whatever device you are using, and zoom controls help you make further adjustments. There’s also a button to turn on “performance mode” which hides any unnecessary toolbars, maximizes the size of the music, and enables page turns by using the space bar or arrow keys (on a computer) or by tapping the left and right side of the screen (on a tablet, phone, or other touch-enabled device). Of course, you can always print your sheet music if you prefer good old fashioned paper. Text, pen or highlighter tools located above the sheet music are convenient to access and simple to use. On a tablet, phone, or other touch-enabled device, just use your finger to select the appropriate tool and color, and draw or type your annotations right on top of the music. You can resize or move annotations as needed. Some titles come bundled with helpful extras, like video lessons, audio demonstration tracks, and/or play-along tracks. You can stream these right from within the browser, or download the files and add to your music library in iTunes, or other preferred music or video player. 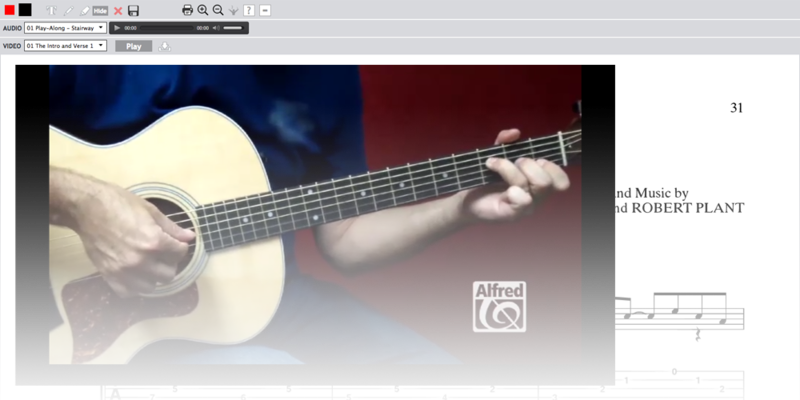 Check out Alfred’s Ultimate Easy Play-Along Series for Guitar to start playing some of the most popular songs by The Rolling Stones, The Beatles, Led Zeppelin, and more. 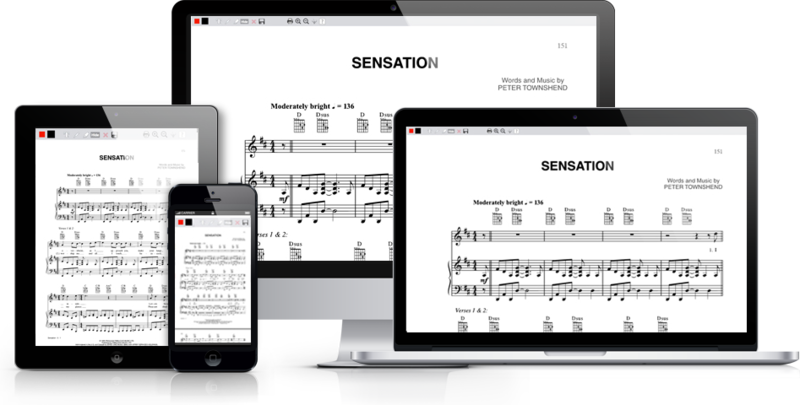 Check out the full list of digital sheet music controls here, along with more details.